Buy 1 Get 1 FREE McDonald’s Filet-O-Fish! You are here: Home / FREEbies / Buy 1 Get 1 FREE McDonald’s Filet-O-Fish! Until March 4 only! 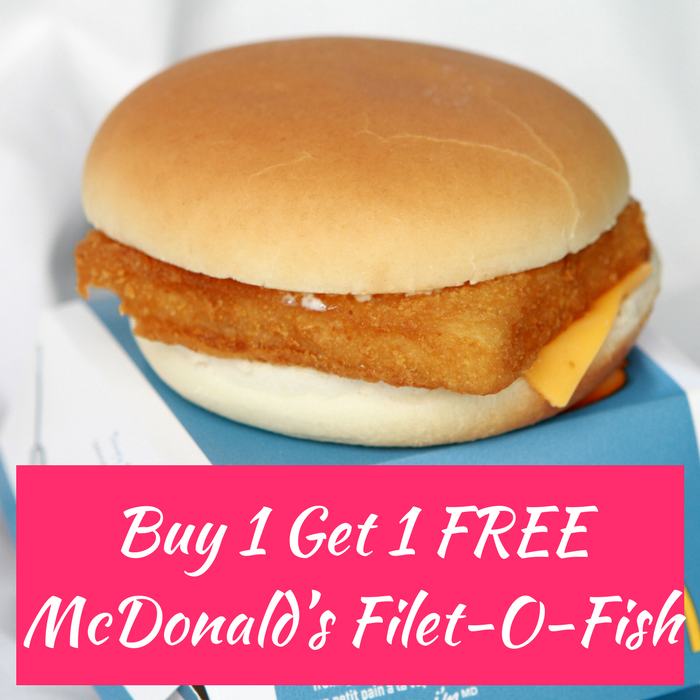 Head over to McDonalds where they are offering Buy One Get One FREE Filet-O-Fish when you use Mobile Order & Pay! Download the McDonalds App – Google Play or App Store – if you haven’t already. Please note that this offer is available only once per week.